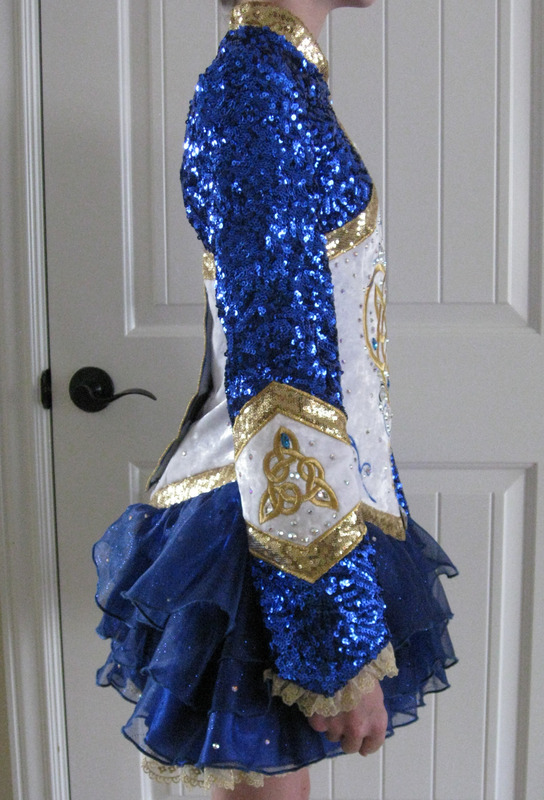 This dress was made in October 2013 for Oireachtas. It has only been worn 3 times. 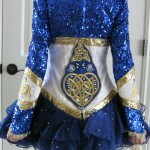 Jacket is sequin, the bodice is crushed velvet with clear, AB, and blue crystals. 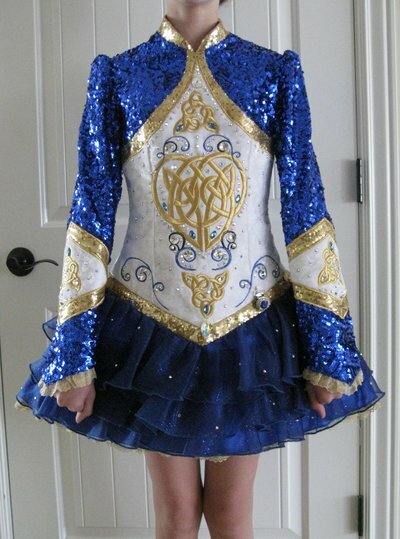 The skirt is organza with a glitter pattern and crystals. 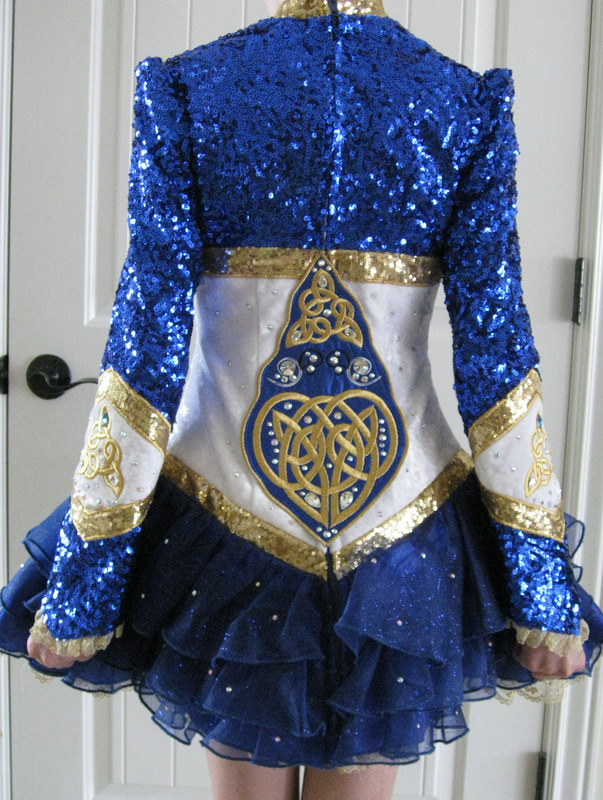 Sleeves and skirt are trimmed in gold lace. 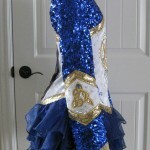 This dress has awesome stage presence! Cape is attached with Velcro and the back unzips fully for easy on/off. Bloomers and headpiece included. It was made for my petite 14yr old who is about 5′. From a smoke-free, pet-free home. Asking Price: $US900. Shipping costs are included for my own country, overseas shipping is extra. Will accept returns and refund the cost of the dress, buyer to pay all shipping costs.